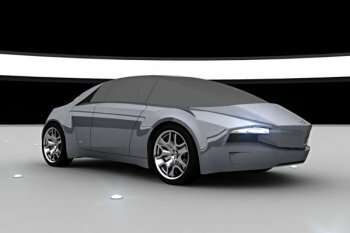 More detailed images of the Lancia-dedicated concept car project which students from the Istituto Europeo di Design (IED) of Turin will present at the Geneva Motor Show have emerged. 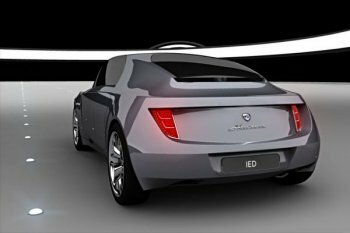 The IED is an institution that is now well established worldwide as one of the top car design schools, will be presenting a project, for the third consecutive year, at the Geneva International Motor Show. The project the IED will present is entitled Haizea, a concept car designed by the students of the Master RSP in Transportation Design - work experience (a.y. 2004-2005.) The full scale model (length 4965 mm, width 1935 mm, height 1420mm, wheel base 2720 mm) is the result of research into the identity of the Lancia brand carried out within the context of the Transportation Design Master Course, that aimed to identify the values that best represent the Manufacturer’s image. The project started out by assessing the various identities associated with Lancia cars over the last century: its sporting look and its luxury status for example. The process has involved the analysis of the most significant styles and models that have contributed to establishing Lancia’s prestige and character of the years and that still to this day are considered guiding principles, setting the course for the ongoing development of the Company. It will be the third consecutive year on show at the Geneva International Motor Show for IED Turin: and each time with research projects involving important companies of the automotive sector (Fiat Research Centre, 2004; Fiat, 2005), further proof of the strong connection that the School has managed to build up with the main sector companies. "I must point out – Cesar Mendoza, IED Turin Director says – that once again the project developed in the context of the Master Course has been carried through with great dedication and commitment on behalf of the entire classroom. For the students, the opportunity to study the Lancia brand and design Haizea has undoubtedly led to a development of their professional skills that we believe will give them a valuable edge when they face the challenge of entering the job market".